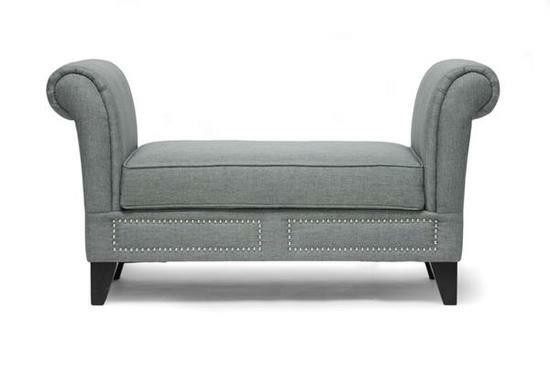 Masha Bench features elegant scroll arms with silver nail head trim along the front of the base. It offers black or white leatherette or gray line upholstery. A rubberwood frame with dark brown wood legs, foam padding, and removable seat cushion complete the look. 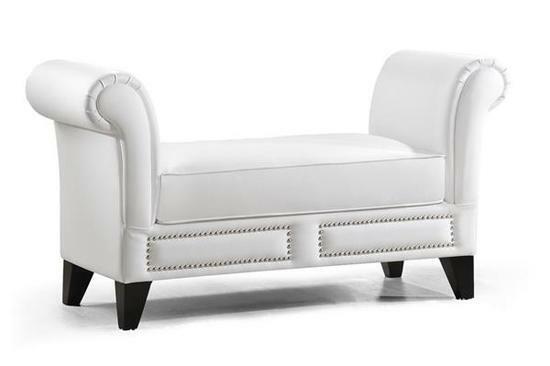 Masha Bench is a perfect inclusion to any area.